Peter Cvjetanovic (R), along with white nationalist and white supremacist factions, march towards counterprotestors stationed in front of a contentious statue of Robert E. Lee in Charlottesville, VA on August 11, 2017. Another was disowned by his family. 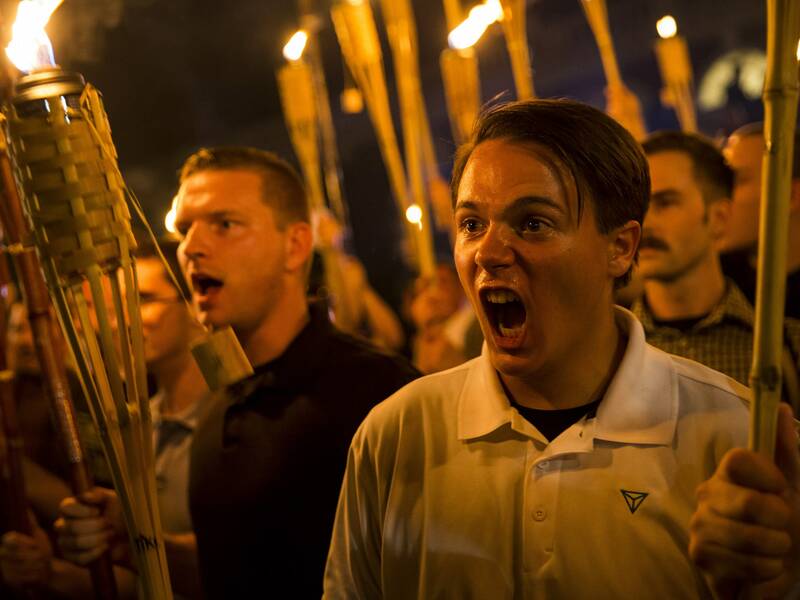 Another, Kyle Quinn, was over 1,000 miles away from Charlottesville at the time of the protest—a case of mistaken identity that brought a wave of threats and accusations of racism so large Quinn felt unsafe in his home. So who’s got truth on their side? The internet has always been a swamp of ambiguity, especially where doxing is concerned. But as doxing continues to evolve as the preferred tactic of both far-right and left-wing internet factions, it’s important to take a hard look at what each side is trying to accomplish. While the two sides use different logic to justify their actions, the true result is the same, and even cumulative—leading to an arms race of financially incentivized, shame-slinging vigilantes.